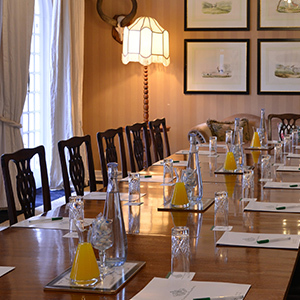 Our stylish Pullman Suite seats 40 for Meetings. 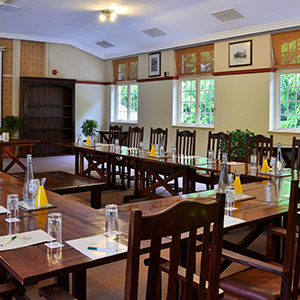 The Victoria Falls Hotel Conference Facilities (two rooms) are best suited for small and exclusive Meetings. 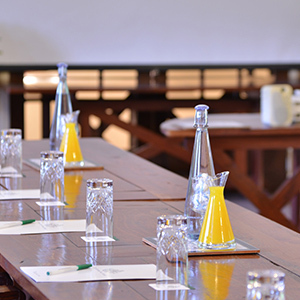 The Pullman Suite and the plush Centenary Room are superbly appointed with exquisite furnishings adding a pleasing aura of sophistication to conferencing. 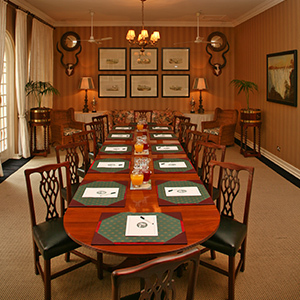 Each conference room has an elegant sprinkling of greenery in the form of well-placed pot plants and flower vases.